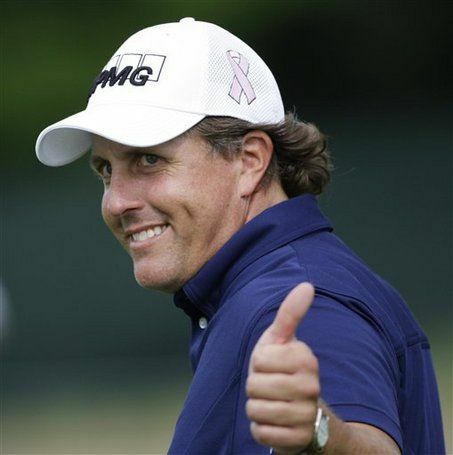 Philip Mickelson (born 16th June, 1970) is an American professional golfer and one of only 16 golfers in the history of the sport to win at least three of the four professional majors. Mickelson picked up valuable sponsor bonuses after winning his last major tournement, the British Open for the first time. He earns more than $40 million annually from appearances and endorsement partners such as Callaway, Barclay’s, KPMG, Exxon Mobil, Rolex and Amgen/Pfizer. In the days leading up to the 2010 PGA Championship, Mickelson announced he had been diagnosed with psoriatic arthritis and this led to a deal to promote psoriatic arthritis drug Enbrel. He is ninth on the all-time list of PGA victories with 42 and the $74 million worth of career prize money puts him as the second highest earning golfer of all-time.